The DHMC Communication department provides telecommunications services to all three branches of DHMC. While their FileMaker system had been functionally sound, it was no longer supported by FileMaker. Further, their system needed to integrate with the web. 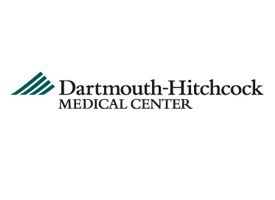 Prior to coming to us, DHMC tried to upgrade their system using open-source technology outside FileMaker (PHP & MySQL), but the venture was proving laborious and unfulfilled. FileMaker’s low cost-of-ownership won DHMC over. They decided to abandon their other database project and got working with us on upgrading to the latest version of FileMaker. We created a thorough plan to upgrade the system and ensure no data was lost while minimizing disruption to DHMC and its employees. After thorough testing, we rolled out their new FileMaker system over a weekend. Their prior FileMaker system was limited in its functionality and upgrading allowed us to implement new relational features and functionality. One benefit that we were able to implement was programming DHMC’s online phonebook to update in real time as the database is updated (it previously updated overnight). Also, sticking with FileMaker saved DHMC the training time and lack of familiarity involved with introducing a new system.